When I first heard about the Airbus internship scheme, I knew instantaneously that this was something I wanted to apply for. Having previously researched the “year in industry” CSER8000 module, I knew that the Airbus internship scheme would align perfectly. In addition, as Airbus is a multi-national company, it offers internship opportunities across Europe (Spain, Germany, France, UK). 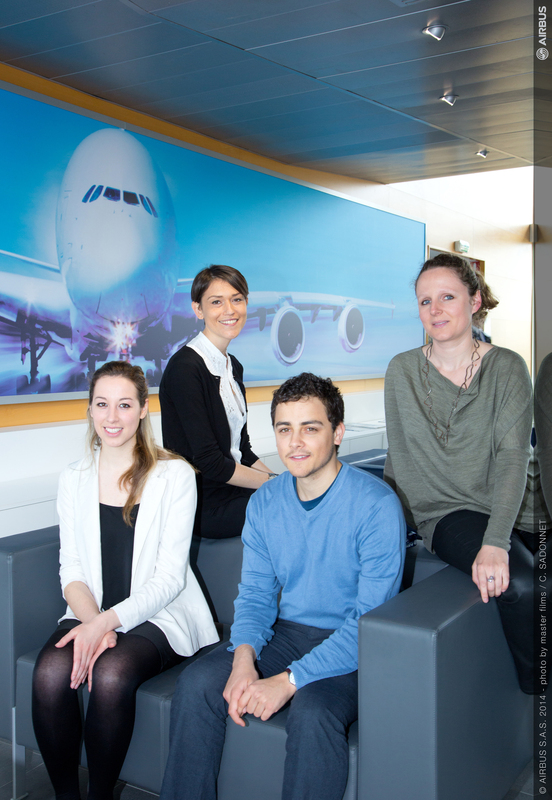 With this, I knew that Airbus would offer a diverse working environment, this was of particular importance to me. Indeed, the internship programme did not disappoint! As I was offered the internship which was of most interest to me (an editorial role in Customer Affairs based in Toulouse, France) I have been continuously focused throughout my time here. Additionally, as I was on ‘work abroad’ inside the EU, I was entitled to the ‘Erasmus work placement grant’, to support me along-side my salary. This has enabled me to fully make the most of my time in such a fantastic location! My main task involved writing the content for an internal newsletter publication, ‘The face of the Customer’. As Airbus has Customer Affairs departments in France, Japan, China, Middle East, Germany and USA, I was amazed to realise that it would be distributed across the globe! That was only the paper copies…to reach the entire Customer Affairs community; the multi-media team would also produce an online ‘flip-book’ version of the newsletter. Receiving this was truly rewarding! I was also challenged with various other fascinating tasks. For instance, being a native English speaker, I was put in the editorial loop for an Aircraft product specific internal newsletter, the A330/A340 product newsletter. In doing this, I was responsible for putting the ‘technical’ content into short, concise English. Once this is validated by the applicable people, I would then transfer this into a newsletter template. It would later be uploaded on the internal portal dedicated to Airbus employees. On top of this, I also support my manager, Sara Ricci (Internal Communications Manager for Customer Affairs) with various other tasks; including event/newcomers session organisation, managing ‘Airbus TV’ publications and other forms of internal communication. Sara always has something different for me work on…. Whether it’s working individually or as part of our team, it is always interesting to be a part of such a diverse office! We have Sara, who is Italian, Coleen, who is French and Thomas, who is Franco-British. I have not only learnt so much from them, but truly enjoyed every working day. My favourite aspect of the internship has to be the ‘interview stage’, prior to drafting newsletter articles. Whether the interview/meeting is focused on an aircraft specific topic or slightly more personal subject, I have always found it both fascinating and motivating to meet with different people, with so much expertise to offer. On a more personal level, living in France has been incredible! Having been slightly apprehensive about moving here (as I didn’t know anyone), I was soon delighted to meet a large group of other interns in the same position as me. Meeting this group has really helped me with making the most of my time in Toulouse. We are a diverse group of people, with various nationalities and preferences….There is never a dull moment! For instance, it was only last week we were walking around the Vatican, in Rome! And, that’s not all: we’ve also been skiing in Andorra, stayed for a week in Sitges (Barcelona) and have more trips to come! I feel so lucky to share these amazing experiences with truly amazing people. This internship has most definitely assisted with my personal development. Not only professionally, but also socially! I now stand in a very privileged position. I have experienced a real working environment, meeting friends for life along the way.